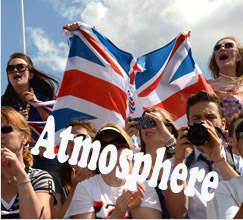 Choose to look through our pictures of UK medal winners, creative shots of the venue or our pictures that capture the exciting atmosphere both in and around Dorney Lake when the Olympics came to Dorney. 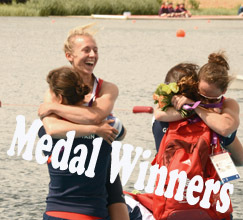 2017 is the fifth anniversary of the Olympics at Dorney. 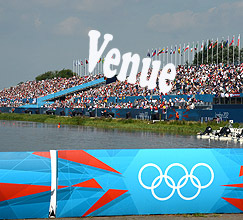 These unique pictures from inside the Olympic venue and from the villages and towns close by commemorate an historic event that may never be repeated in Dorney. You can buy superb canvasses up to 2.3 metres and ready to hang; a stunning decoratative talking point for restaurants, pubs, shops and workplace receptions. From one off PR shoots for the media and house journals to complete events. Click the picture of the team to see all the picture I took at Caversham Festival performances of THE HIDE. Got a project in mind? Find one of my commissions that match it. Check out my published articles - read about Charles Dickens' mistress hidden in Slough, Pinewood Sudios and Why Gandma flew a Spitfire plus loads more. Not every photographer is at home on the shop floor. An interior I shot for Accor Hotels has been included in the British Institute of Professional Photography's members'directory. The directory is circulated every year to thousands of picture buyers worldwide by the BIPP. The BIPP has a total membership of nearly 4000 and I was one of fifty photographers who were selected to display examples of what professional photography can achieve. Can't say I wasn't chuffed! Interior and exterior photography of buildings. Manipulation is an important creative tool in many areas. WordsΠctures Photography, started by Michael Pearcy, began in 1980 working from the studio in Cippenham Lane Slough next to Slough Trading Estate. The Aim was to provide creative PR photography (public relations), Industrial photography and commercial photography in Slough, Burnham, Maidenhead, Windsor and the Thames Valley.The first customers were Panasonic, LG Electronics and Honda and word soon spread so that within 12 months Mike Pearcy had clients throughout the Thames Valley and beyond. Another early and important customer was Mars. The famous Slough based Confectionery Company has been a loyal customer for over twenty years and has given Mike some of his most interesting projects. He often suggests to potential new customers that a visit to Mars reception to see his pictures there would be as good as looking at his photography portfolio! Words and Pictures also host and manage The Mars Chocolate Photo Library, a world wide chocolate image resource and point of reference for Mars Commissioned Photography. Clients work in many business sectors � confectionery, engineering, ventilation, extractor fans, climate control, car showrooms including Mercedes, BMW, Honda, Chevrolet, Audi, VW Volkswagen and many others. There are many advertising agencies among the client list which bring in such specialisations as leather goods, garden centres and conferences at such venues as The Royal Society of Medicine, Brooklands Race Track, The British Library, Warwick University and Blenheim Palace. Working with Hotel groups Accor and Novotel, Mike photographs hotel interiors and food to promote new menus and quality dining in the hotels. He has photographed Sugar Puffs for Honey Monster Foods; Staff at The Millennium Hotel in London for their Christmas card; a refurbished pole dancing club in Sheffield; shock absorbers for helicopters; the Simpsons cartoon characters and metal hinges to mention a few from the past year alone. Mike Pearcy studied photography at college and has been a professional photographer since that time (don't ask how many years that covers!). He began working when photography was a black art practised in darkened rooms or under black cloths. Now smelly chemicals, safe lights and film have given way to digital photography. That change was one that Mike was quick to embrace over eight years ago when many photographers were hanging back. He says it makes commercial sense for the business and gives the customers exactly the service they demand. Quality is no longer an issue with modern equipment and Mike often wonders what the reaction would be if some enterprising company tried to launch a new way of taking pictures involving strange emulsions coated on sheets of plastic that had to be processed in tanks of chemicals overnight! A bit like re-inventing the Dodo and a sure-fire route to bankruptcy. Obviously, whatever imaging system is used the key factor is the skill and experience of the photographer. Clients are often amazed that Mike can light a difficult product in his studio in just a few minutes - it's all down to having solved most of the problems in a long and varied career.